My 2019 UK concert tour will be early this year, in the merry month of May. Paul Walker (English/Anglo), Carolyn Wade (Band) and Dave Ball (Band/English). Here is my whole schedule. I hope to see many of you at my concerts and workshops this year. Keep squeezing! I've never been to Llantrisant before, anyone here know of this club? As opposed to Polo, Llantrisant is known as the Hole with the Mint. LIantrisant Is where the Royal Mint (that mints coins for the U.K.) is based. 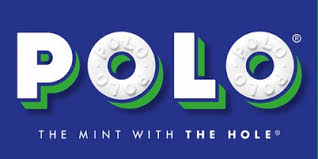 Might not have Polo mints in the U.S. Does anyone know why the SWALEDALE SQUEEZE Yorkshire link above is not working? I have an interest because I haven't received a reply or acknowledgement from the organiser Steven Bradley after making an initial £25 deposit for the event. I hope all is well??? I just looked at their website and copied this link. It worked for me. I have copied and pasted a link below. Thanks John but my concern is because last weekend I signed up to advertised weekend in May and have transferred a £25 deposit but so far haven't received any sort of acknowledgement, I hasten to add I have also sent two emails direct to Steven. I went last year, and sending a deposit in sterling from the US was problematic for me. Once I got ahold of Steven he told me just bring the money to Yorkshire. He put down my reservation (I stayed in one of the camping huts - nice enough). I paid up as we were standing right next to the tapped keg, how fitting. It (Swaledale) is a bit informal, but I expect they'll sort it out for you. I got to know Harry Scurfield while there and enjoying talking with him. My wife and I loved the countryside - lovely area. Very different atmosphere from a US gathering like the Squeeze-In. In the US most players are isolated all year and starved for fellow concertinists, hence the uncontrolled playing about 22 hours/day at NESI. At Swaledale everyone told me about the lessons and groups they were in at home (you are lucky over there) and quietly, calmly waited for each class to begin. But I bet Jody will stir up all those reserved concertinists!